This song would be his last Hot 100 entry for nearly 5 years, peaking at #44. On the soul chart, it got as high as #16. It should be noted that the reason for the long break was that he was suffering from schizophrenia. This was the 5th and final Top 10 soul hit for this band from Dayton, Ohio, reaching #7. The biggest hit for this band from Norfolk, Virginia, was this song, which soared to #4 soul. It would be sampled 10 years later for 2 Live Crew's controversial single "Me So Horny". He's best known for playing Michael Evans on the sitcom Good Times. He reached the Top 10 on the disco chart and #37 on the soul chart with this Van McCoy-penned track. She's hit the Top 10 of the R&B chart 4 times. This was one of them, peaking at #5. One of her 5 R&B #1s, this song was written and produced by Angela Winbush. Their final Hot 100 entry came with this song, which got as high as #55. On the R&B chart, it was one of their last Top 10 hits, getting up to #3. The follow-up to their #1 soul hit "Save The Overtime (For Me)", this legendary group sent this song to #5 on the soul chart. Their last single, "Love On a Two-Way Street", reached #1 soul and #3 on the Hot 100. This song made it to #7 soul, but couldn't quite make AT40, stopping at #44 on the Hot 100. They hit the Top 10 on the soul chart twice. One was the theme to the movie Which Way Is Up, which went straight to #1. The other was this song, getting as high as #4. She's scored 21 Top 20 hits on the soul chart throughout her career. This was one of them, peaking at #14. It almost made the Hot 100, bubbling under at #101. 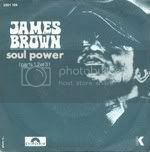 One of 3 Top 10 soul hits for this British group comprised of 5 siblings, this song climbed to #7. It was their most successful single on the Hot 100, getting as high as #41 (almost cracking AT40). This was the only single released from their Travelin' At The Speed Of Thought album, climbing to #7 soul. It's also the first single to feature vocals by Sammy Strain- he replaced William Powell, who had passed away a few months earlier from cancer. Their breakthrough on the Hot 100 came with "Push It". Their breakthrough on the soul chart came a few months earlier, when this song climbed to #21. This was their 5th and final Top 10 hit on the soul chart, peaking at #8. On the Hot 100, it got up to #61. Stevie Wonder sent this song to #1 soul and #8 on the Hot 100. This Georgia-born legend released his version over a year later and took it to #22 soul and #91 on the Hot 100. This hip hop classic got as high as #18 on the R&B chart and #21 on the dance chart. Incorporating the melody of the Inspector Gadget theme, this hip hop classic made its way to #4 on the soul chart. They had 11 consecutive Top 10 soul hits from 1973 to 1977. The fourth of these Top 10s peaked at #4, while climbing to #52 on the Hot 100. The final chart entry for this legendary family group made it to #9 on the R&B chart. And they did it by paying homage to the Gary, Indiana home they grew up in. Eight of the 9 Jackson siblings are on this track, with LaToya being left out. One of his 14 Top 10 R&B hits, this one got as high as #2. The first charted single for this band from Minneapolis reached #6 on the soul chart. It would later be covered by TLC. Language warning: The F-word is used a few times towards the end. The first solo single for this "Nasty Girl" made it to #15 soul and #73 on the Hot 100. This late singer from Arkansas sent this song to #10 on the soul chart and #64 on the Hot 100. This Philly group almost hit AT40 with this song, but it stalled at #41 on the Hot 100. On the soul chart, it got as high as #23. This was the 12th and final Top 10 soul hit for this family group from Providence, Rhode Island, getting up to #10. The first chart entry for this man from Minneapolis reached #12 soul and #92 on the Hot 100. And that was just the beginning of his legacy. This late singer from Alabama sent this song to #17 on the soul chart. It was also his final Hot 100 entry, peaking at #90. It was a dance charttopper for this British duo. It also crossed over to the soul chart, peaking at #31, and got as high as #73 on the Hot 100. This was her first single released on the Motown label, reaching #4 soul and #48 on the Hot 100. The first charted single for this family group from Watts, Los Angeles, made it to #14 on the soul chart and #94 on the Hot 100. One of his 10 Top 20 soul hits, this song got up to #19 soul and #55 on the Hot 100. This was one of the songs by this Italian-American group that had lead vocals by Luther Vandross. It only got to #49 on the soul chart, but it's arguably considered their signature song. Janet Jackson would breathe new life into it when she sampled it in her #1 hit from 2001, "All For You". The first chart entry for this singer from New York City, who now goes by the name Sananda Maitreya, made it to #19 soul and #68 on the Hot 100. This band from Detroit scraped the Top 40 of the soul chart with this song, peaking at #38. Features vocals by a singer who would enjoy solo success a few years later, enrapturing us with her sound. One of their earliest singles, it reached #16 on the soul chart and #87 on the Hot 100. Here are a few extras for the week. The Staple Singers took it to #1 in 1975. Thirteen years later, this singer recorded his own version and sent it to #8 on the R&B chart, his final Top 10 hit there. This was her fifth and final Top 10 R&B hit, peaking at #7. He was a member of Club Nouveau before going solo. His biggest hit was this R&B charttopper. The video features a young Tyra Banks. The Isleys are an odd case: After hitting the top 40 every year except for two (1970 and 1974) between 1969 and 1975 (including three big top 10 hits), they could only scrape the bottom of the 40 two more times, #40 in 1977 and #39 in 1980. He got his start as a member of B.T. Express in the '70s before enjoying solo success in the '80s. This #25 soul hit features vocals from a young newcomer named Whitney Houston. They racked up 25 Top 10 hits on the soul chart, including this song, which peaked at #6. On the Hot 100, it got up to #55. During that period between "Hollywood Swingin'" and "Ladies Night" when for whatever reason they could not score a big hit on the pop chart.